If you are tired of seeing hard stuff in the garden like stones, huge jars, and patios, there is a way to add a softer touch to it. 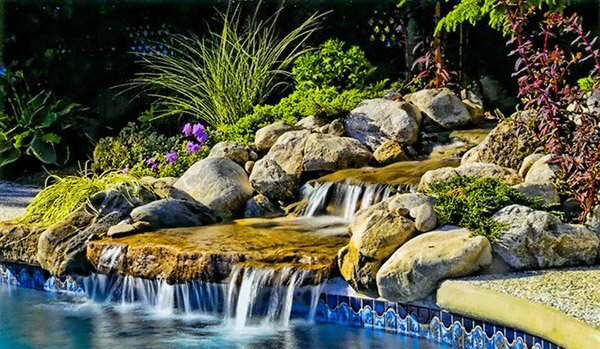 You can place some water features like fountains; but you can also choose to create a water garden. 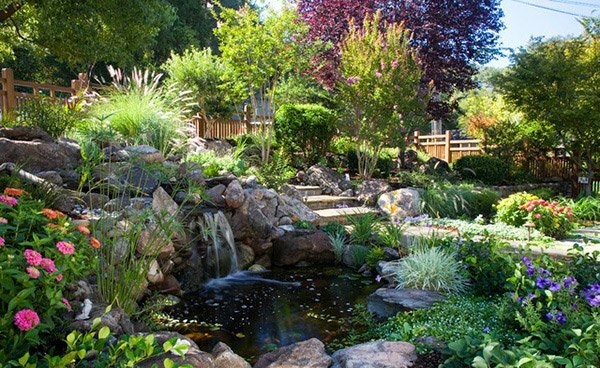 Water gardens are good no matter how big or how small your area is. We will be showing you various water garden designs today. They come in different themes from modern to traditional ones. There are also large gardens but there are also small ones. 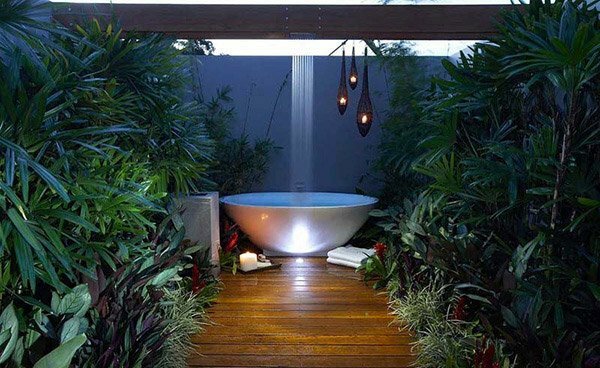 Scroll down and have a glimpse of water gardens that will add a fresher touch to one’s outdoor area. 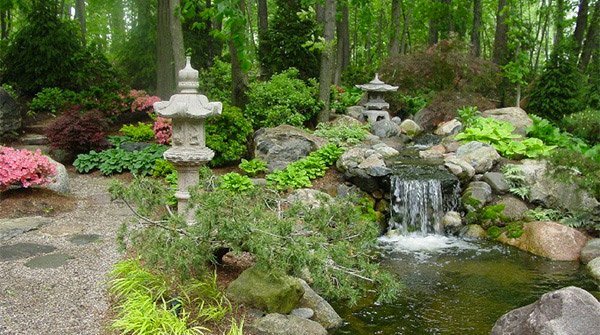 The small concrete pagodas in this water garden completed its Asian look. The rushing water gives life to this once boring space. 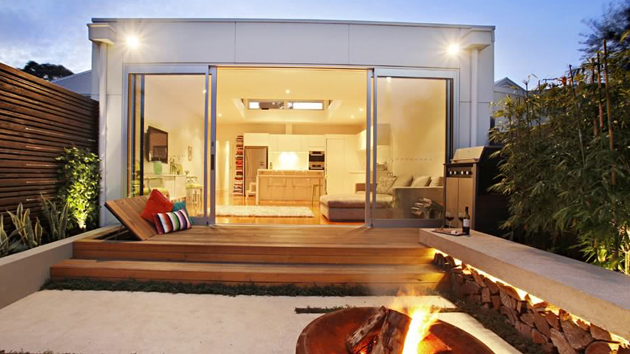 A small yard can still look great with this kind of feature. 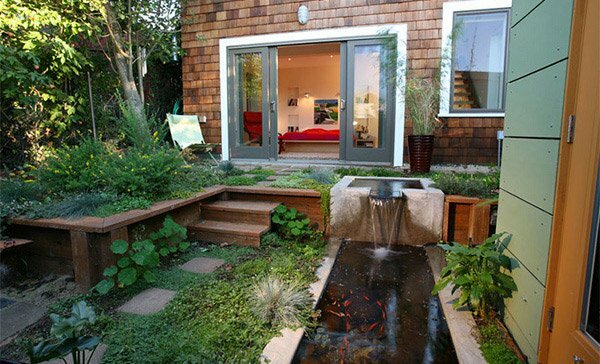 This goes to show that a water garden for a small area is not impossible at all. 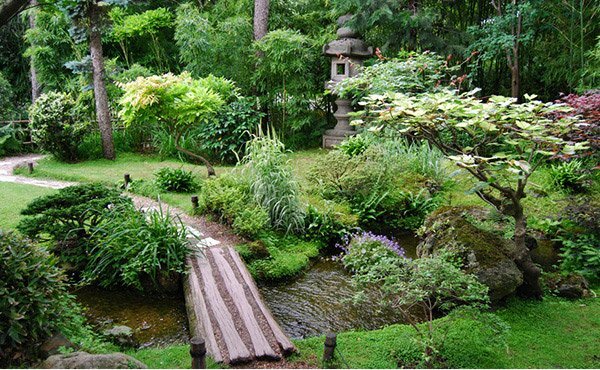 The existing body of water was made more beautiful with the addition of plants around it. This is actually a spillway for a pool connecting the water garden to the pool. Such a fantastic ambiance! 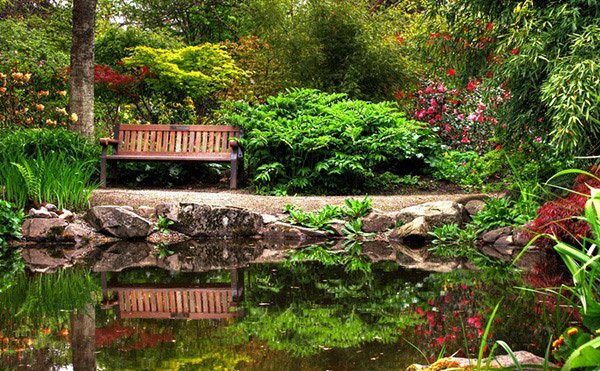 The water in this garden may be static but the accompanying surrounding makes all the difference. 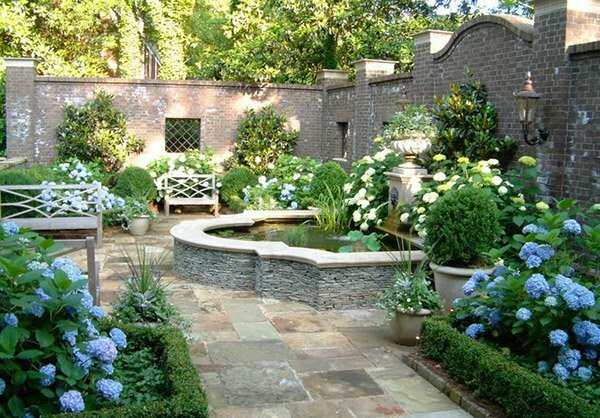 A seating area was even added that allows anyone to take a better look at the beautiful garden. 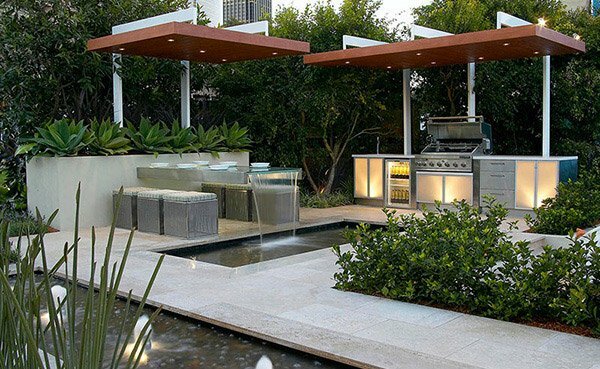 In an attempt to create a water garden, the designers opted to add this water feature due the minimal space available. But this was a successful design since it created an amazing impact. A spacious garden gives one more freedom to play with the plants just like the one you see above. A wooden bridge was added to cross the flowing water. Check this beautiful modern garden! Aside from the waters on the flooring, the glass table also has water coming from it. 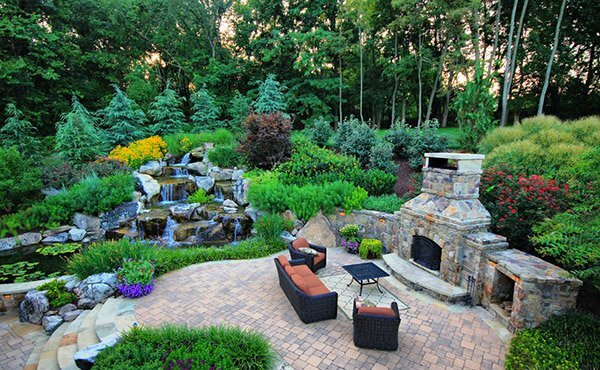 No wonder this design from Rolling Stone Landscapes is award winning. 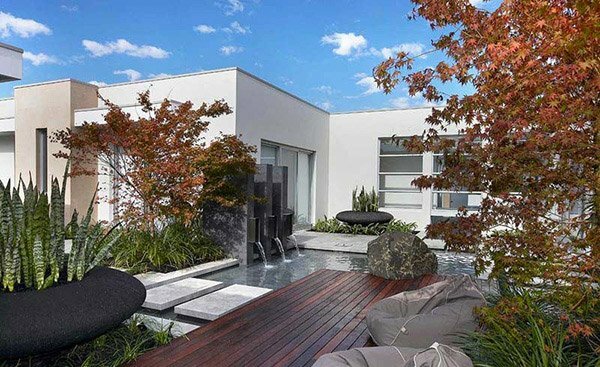 Aside from the outdoor fireplace, the water feature with flowing waters at the other side sure added appeal and life to this outdoor scene. 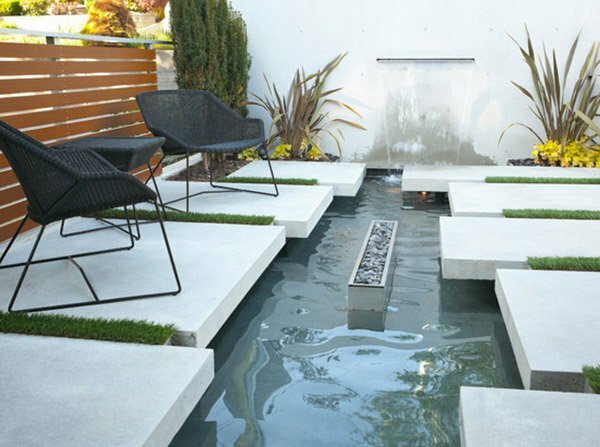 Here is another modern water garden that comprised of both concrete and wooden pavements. There are also plants and fountains that made it appear so inviting. 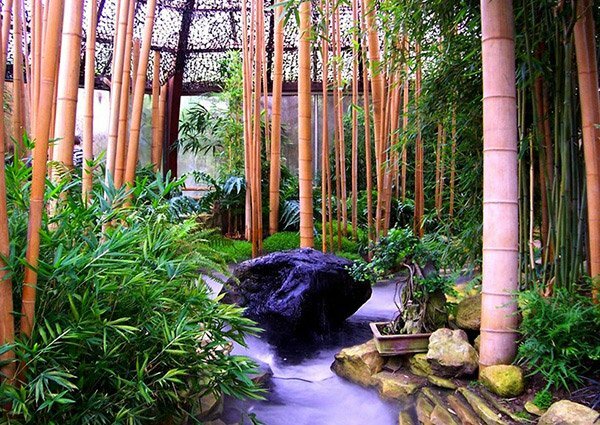 A bamboo garden that is also a water garden at the same time. The use of bamboo gives this one a fresher touch. Grecian shape concrete that holds the water for this traditional garden. The use of plants in blue and yellow flowers added to its classic look. 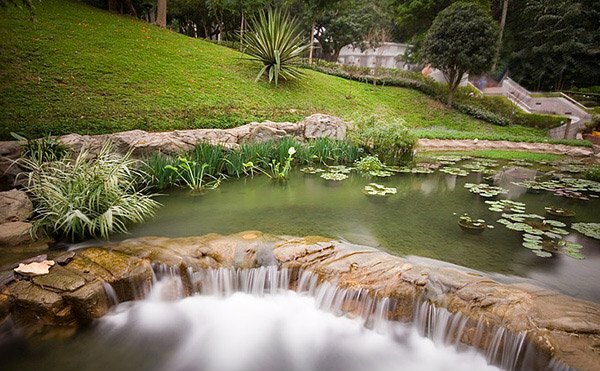 Filled with so many variations of plants and flowers, this water garden is a stunning view not just for your pictures but also when you decide to relax with nature around you. The features of this house is so amazing! This area shows concrete pavements arranged in a unique manner with some green grasses between them. Guess what, these pavements is like floating in water! This is a closer look at the patio. Beautiful and creative isn’t it? 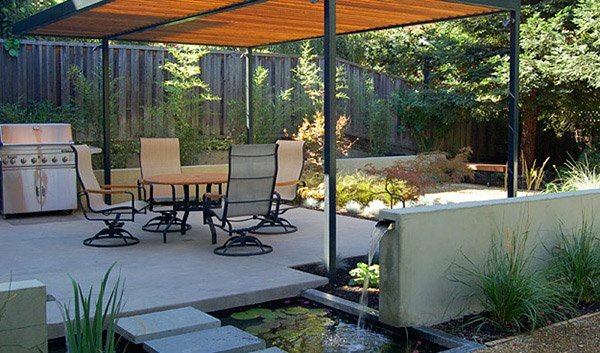 Water surrounds this covered area to achieve a modern water garden and a fresh aura. I like the home design having more touch of natural component.